The legendary Robin Red carp attractant has now been added to a range of pellets so that you can incorporate the proven flavour into your approach wherever you go. 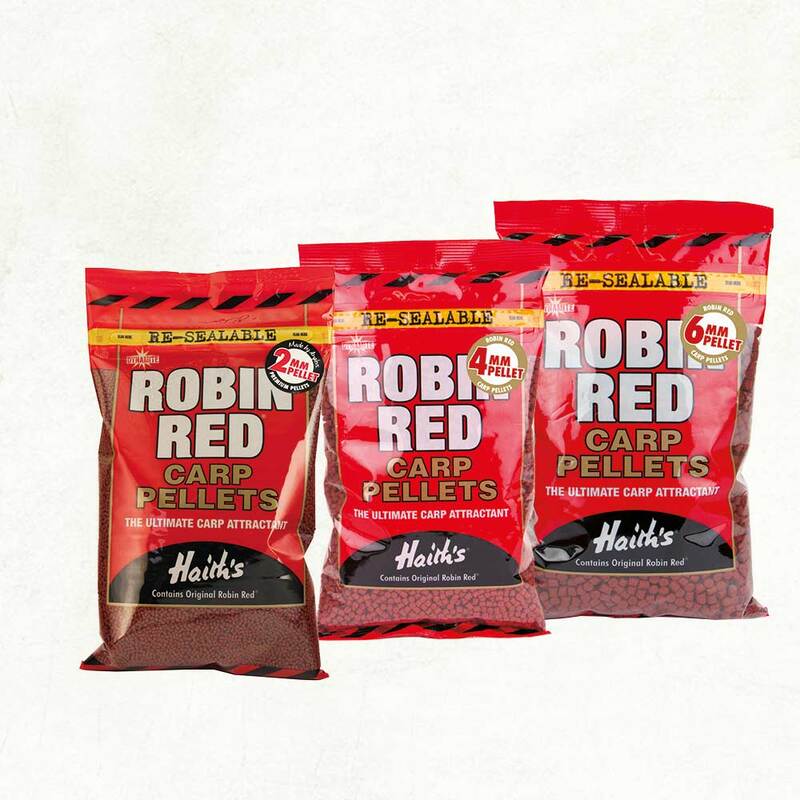 Dynamite has once again teamed up with Haith’s, the original producers of Robin Red, to create these pellets. You can get them in 2, 4 & 6mm sizes. They have a deep red colour that stands out well against most bottoms and matches the rest of Dynamite’s Robin Red range.